The Billet Bundler allows you to collect and bind together 1 cubic meter of billets. The bundle can then be tipped out and stacked. Logs can be cut from billets once they are dry. The Billet Bundler allows you to collect and bind together 1 cubic meter of billets. The bundle can then be tipped out and stacked. 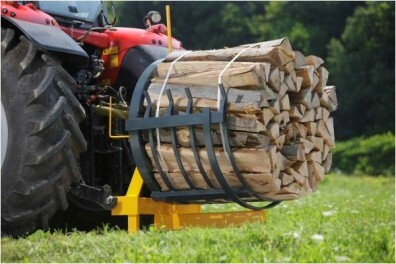 Logs can be cut from billets once they are dry. This reduces drying time and handling.